For a few weeks now, I've been noodling on a mecha RPG, a mash-up of The Regiment and Battletech. It's just reached first alpha draft stage, version 0.10. 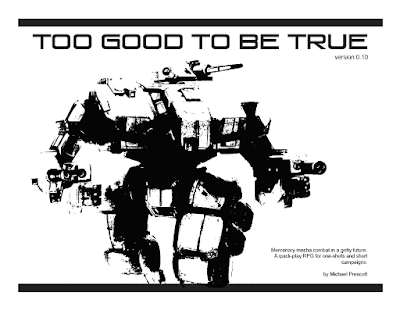 I absolutely adore the Battletech 3025 tech readout, it's one of the most evocative gaming supplements I own. I wanted to capture that high-tech-but-rusting, zero sum feeling, where players are mercenaries using battlefield technology that can no longer be manufactured. Design-wise, the main inspirations is John Harper's WWII RPG, The Regiment. I love the theatre-of-the-mind approach to combat, the absence of a turn order, and the squad-level resolution rules that make combat move along so briskly. 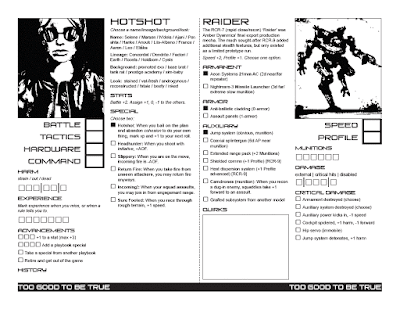 Like other Powered by the Apocalypse games, the characters are pre-made archetypes with a bit of wiggle room to make them individual. 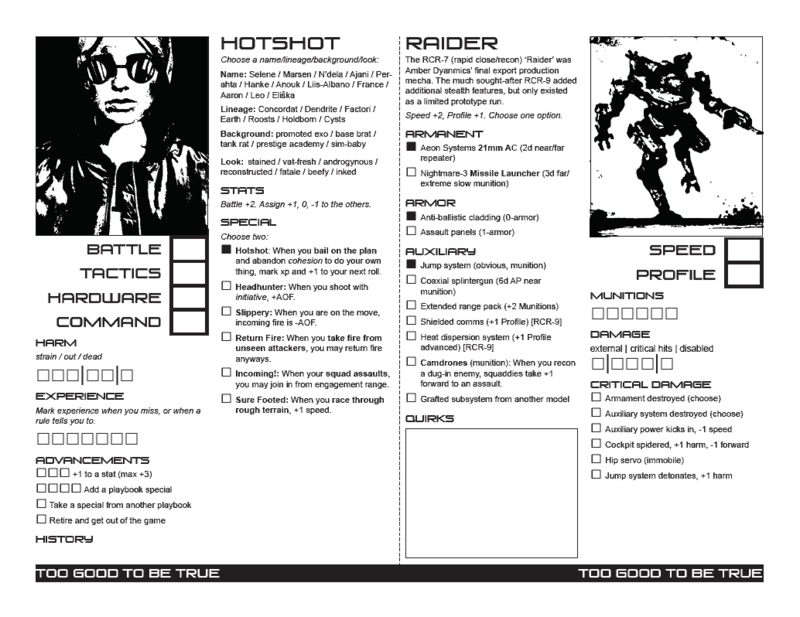 It's meant to be fast enough to play as written for one-shots, but there's advancement for both the individual pilots and the company. It hasn't been playtested, so there are probably all sorts of potholes to fall into.